with your convenience in mind. Enter the confirmation code sent to your email, choose a password, and press Go. a. 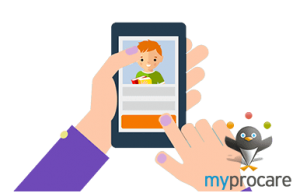 View your child’s time card, immunizations and more. card payments will also need to reregister and complete a new draft form by 9/29/17. Directors will have these forms available starting 9/22/17. If you have any questions please see your director for assistance. All payments made prior to 6pm (EST) will be credited to the account for that business day. All payments made after 6pm (EST) will be credited to the account on the following business day.